There is a very good reason the city remained a secret for so long, in fact for many centuries, firstly the site is very inaccessible at nearly eight thousand feet above sea level and located between two mountains, Huayna Picchu and Machu Picchu, in the part to the high south-central Andes, it is no wonder it remained a secret for hundreds of years until an American Explorer who was looking for something entirely different, happened up a you child who knew of a place hidden in the jungle and lead the weary American to the now famous site. 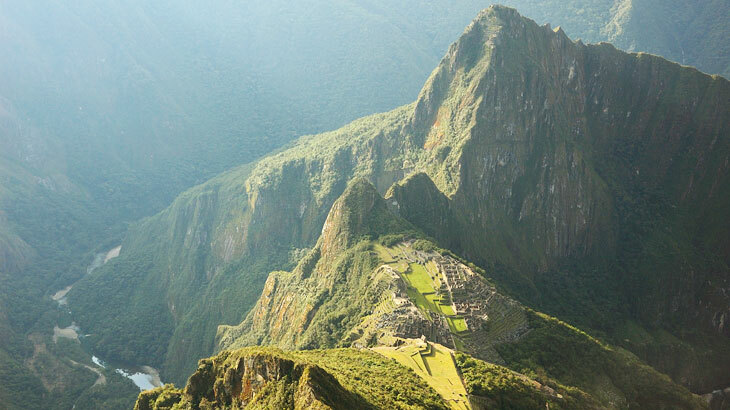 Where is Machu Picchu located? around thirteen degrees south of the equator and surrounded on three sides by the Urubamba river. 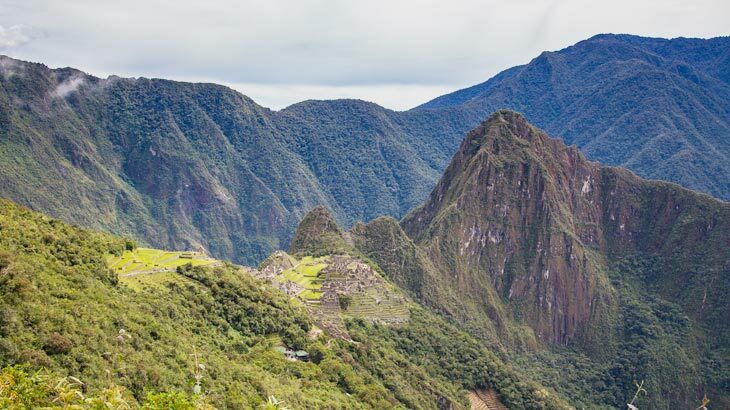 The Sanctuary of Machu Picchu has a total area of thirty-three thousand hectares and is a natural reserve and has many different species of wildlife and is well known for its flowers and plant life. Where is Machu Picchu located, it lies around fifty miles northwest of Cusco, the Inca City, on the side of a mountain and around one thousand meters below the city of Cusco, making the climate milder and more tropical. Machu Picchu is one of the most visited tourist attractions in Latin America and is what most people visit Peru to see. The ruins themselves have a commanding view down two valleys, its water supply comes from nearby springs and had enough surrounding land and terracing to grow food and supply food for the local population when Machu Picchu was inhabited. There are many ways to get to Machu Picchu, the first is arriving at Lima International airport and then continuing your journey by flight or by bus to Cusco, mostly the International flights arrive late into Lima so you may need to stay in Lima overnight before continuing onto Cusco. Once you arrive into Cusco, you may want to stay a few days to acclimatize to the altitude and see all that Cusco has to offer, like the city ruins, churches and temples, not far from Cusco is the Sacred Valley of the Incas, where there are many ruins to see and a great market to spend a day exploring and making those important purchases. 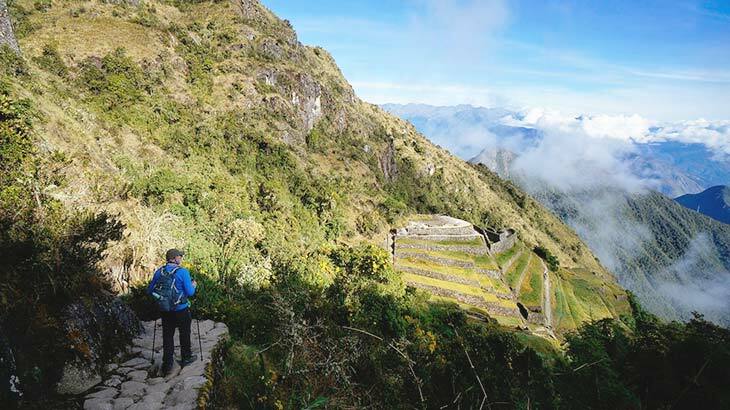 From Cusco, there are two options to get to Machu Picchu the first and this way is extremely popular, this would be the world-famous Inca Trail. This is a four-day hike walking through beautiful valleys and cloud forests, touring many ruins and walking up to high passes, then back down again to raging rivers. On the third day in the afternoon you will arrive into Winay Huayna an impressive ruin in itself, where you will spend the night, on the fourth and final day, very early in the morning you will arrive at the Sun gate where you have your very first view of Machu Picchu, the rest of the day will be spent at the Inca Ruins. The second option is the train, from Cusco the train takes around three and a half hours passing through the Sacred Valley as it travels alongside the Urubamba river. The other train option leaves from Ollantaytambo station in the Sacred Valley from where you will arrive one and a half hours later. If you take the train from Ollantaytambo you will have to take a bus from Cusco which will take around two hours from Cusco. Both trains arrive into Aguas Calientes, the town below Machu Picchu, where you need to board a bus to Machu Picchu, which takes around twenty-five minutes. There are several different trains options from Cusco to Machu Picchu, the Expedition train a tourist train with big windows and comfy seats, also there is the Vistadome which is also a tourist train with its glass ceiling and upmarket service. 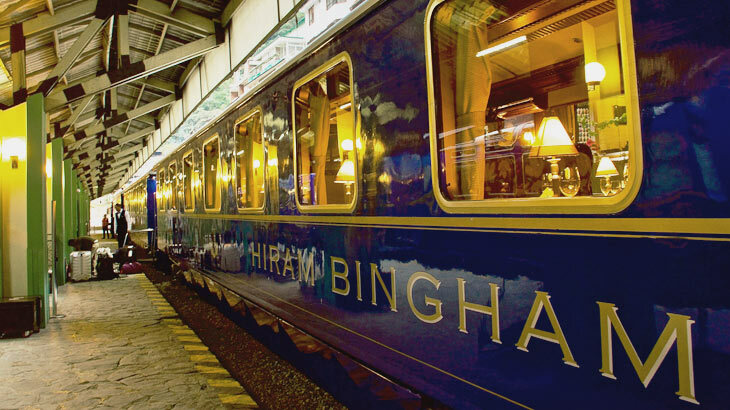 Lastly the Hiram Bingham service that is five-star luxury all the way, prepare to pay big bucks for this train but if you have the cash spare it is a trip of a life time. Entry tickets to Machu Picchu must be obtain before you arrive to the site, you are no longer able to buy them at the gates, as the Peruvian government has changed rules and laws for visit Machu Picchu, so be aware, there are now two tickets available to purchase to enter Machu Picchu, one ticket in the morning and one in the afternoon, so be careful as to what you can buy, your travel agent will be able to purchase these tickets for you but also you can purchase these on the Machu Picchu website. Where is Machu Picchu located and what there is to see? Machu Picchu is located in the southern part of Peru in the Andes Highlands not far from the Inca Imperial city of Cusco. The ruins themselves are divided into sectors, the urban sector and the agricultural sector then into the upper town and the lower town, the important places like the temples and where the royalty live are in the upper town, where as the storage facilities and where the poor people live are in the lower town. The site fits into the mountains perfectly and has around two hundred buildings arranged on wide terraces. No trip to Peru would be complete without a visit to the mysterious Inca city of Machu Picchu, located in the Peruvian Amazon jungle, the perfect place to visit on your next adventure to the south of Peru, located in South America. 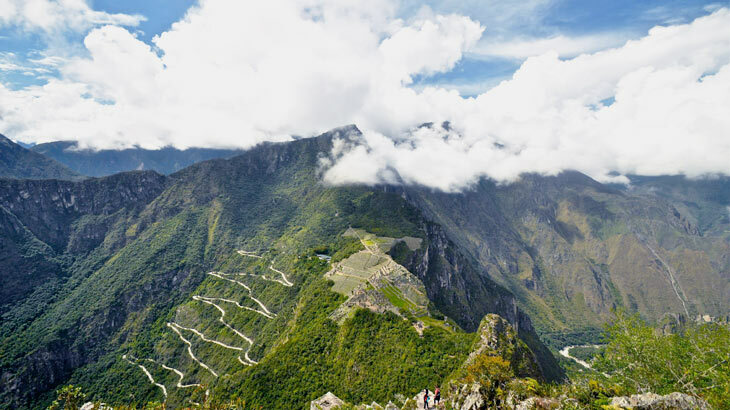 Travel To Machu Picchu, Travel To Peru cusco, machu picchu. permalink.